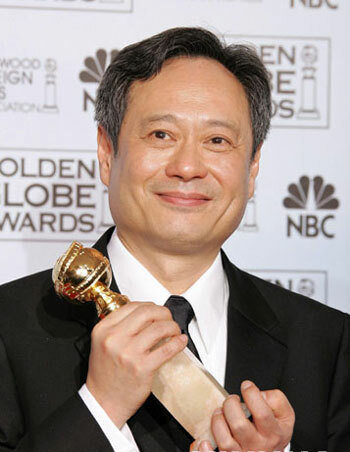 Chinese director Ang Lee stands on the top of the podium with award in hands for Best Director Motion Picture for "Brokeback Mountain" at the 63rd Annual Golden Globe Awards in Beverly Hills, California January 16, 2006. Hollywood actress Reese Witherspoon holds her award for Best Performance by an Actress in a Motion Picture for Musical or Comedy for "Walk the Line" at the 63rd Annual Golden Globe Awards in Beverly Hills, California January 16, 2006. Actress Mary-Louise Parker poses with her award for Best Performance by an Actress in a Television Series - Musical or Comedy for "Weeds" at the 63rd Annual Golden Globe Awards in Beverly Hills, California January 16, 2006. 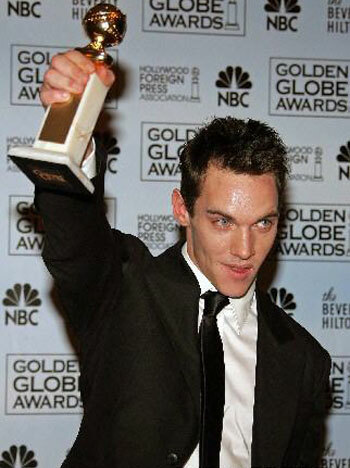 Jonathan Rhys-Meyers holds his award high on the podium for Best Performance by an Actor in a Motion Picture Made for Television for "Elvis" at the 63rd Annual Golden Globe Awards in Beverly Hills, California January 16, 2006. "Desperate Housewives" Executive Producer Marc Cherry and cast members Teri Hatcher, Felicity Huffman, Nicollette Sheridan, Eva Longoria and Marcia Cross (L-R) pose with their award for Best Television Series - Musical or Comedy at the 63rd Annual Golden Globe Awards in Beverly Hills, California January 16, 2006.